The Exterminating Angel has its Met premiere this season, conducted by the composer, Thomas Adès. The 2016 opera, co-commissioned by the Met and sung in English, is based on the screenplay by Luis Buñuel and Luis Alcoriza for the acclaimed 1962 Buñuel film. 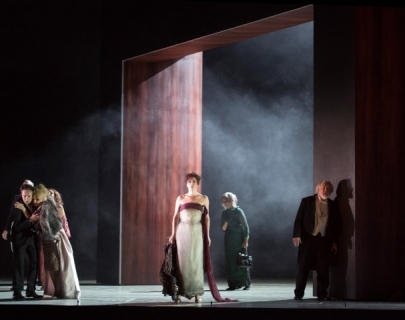 The Exterminating Angel is a co-commission and co-production with the Royal Opera House, Covent Garden; Royal Danish Theatre; and Salzburg Festival, where the production premiered in 2016.